Multi-colored striped fabric inspired by the classic stripe beach umbrella. Order below. No other accessory symbolizes the beach more than a pair of flip flops. Order below. Our original custom design influenced by the beauty of Hawaii. Order below. 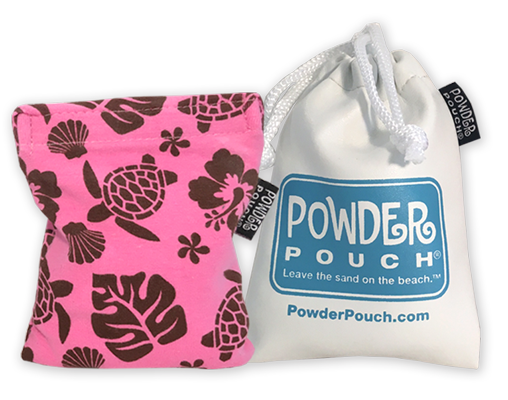 Blue Aloha was such a hit, we created a pink version. Order below. Because we know every family member will want their own. Order below. Select a product from below to purchase. 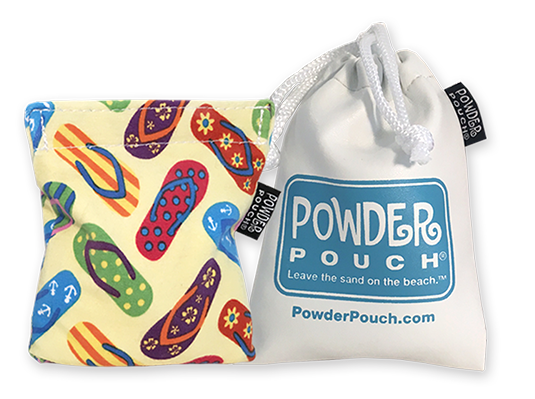 Powder Pouch is made of soft cotton and is pre-filled with a starting supply of unscented zea mays (corn) starch. 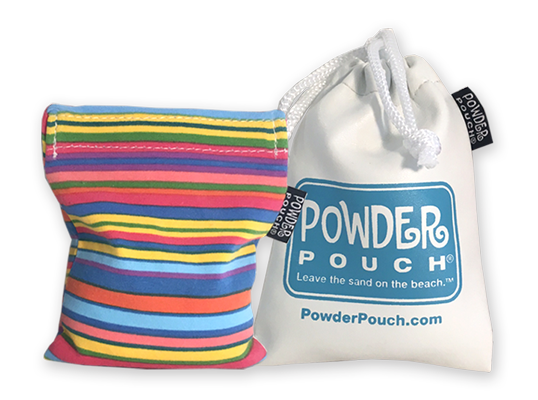 It releases just enough powder to get the sand or other debris off your skin leaving you feeling smooth and comfortable. 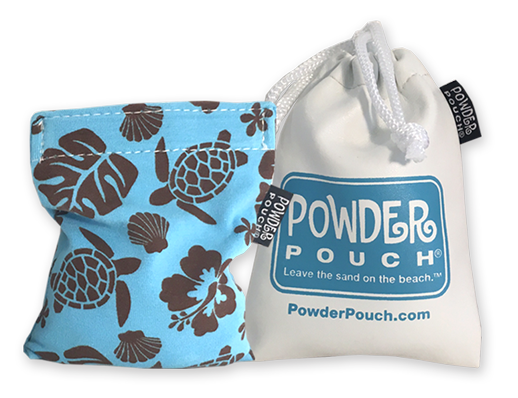 When the pouch is empty, it’s refillable with your favorite powder. It’s also washable and reusable and will last for several seasons. 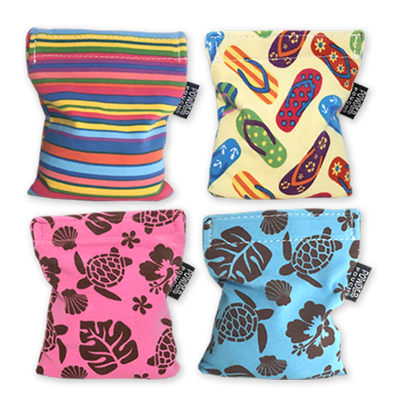 Use damp cloth to wipe clean carrying case.